It is so nice to be back on track with my Woman Crush Wednesday series after a couple weeks break. It is the 60th time I have honored a female foodie with a love story here on the blog and a cooking tutorial on Snapchat. Since today is a special day we had to have a special culinary queen. 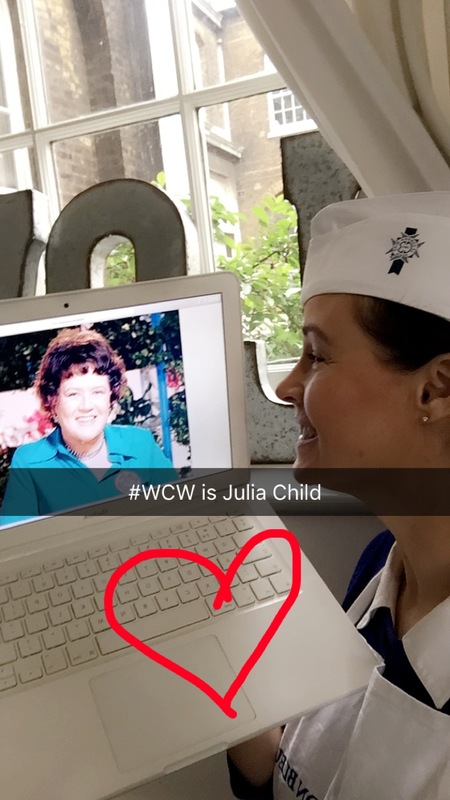 And who better than Julia Child, the groundbreaking chef who is still posthumously inspiring millions of cooks! 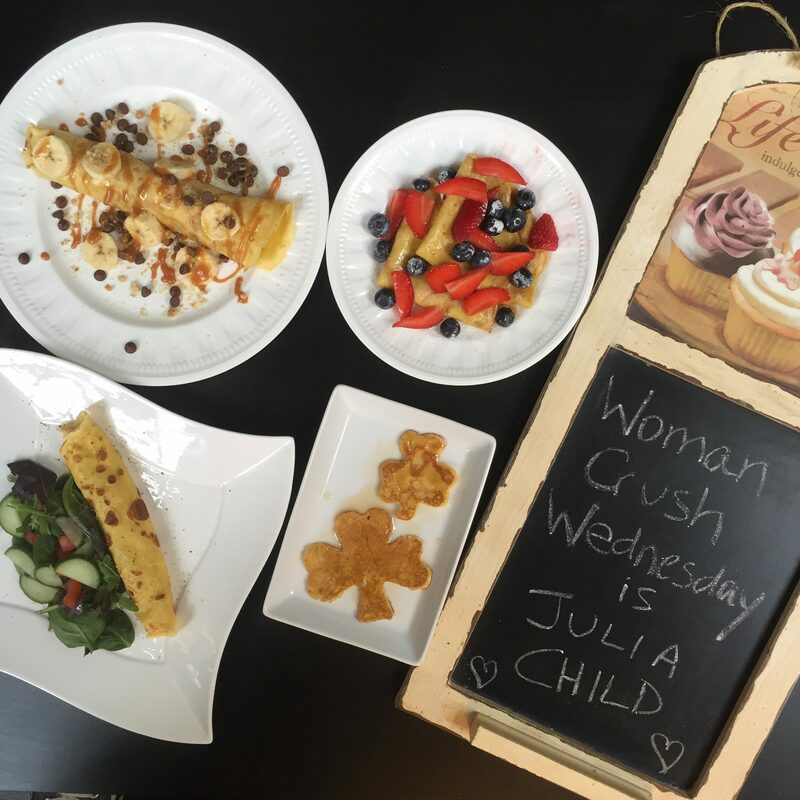 While Julia Child was born in America, she is famous for her television series called The French Chef. It was when she was in Paris with her husband at the age of 37 where she learned to cook at the famous Le Cordon Bleu Cooking School. 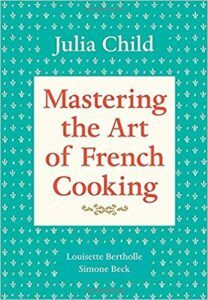 While there she met two other ladies and they wrote the “go to” encyclopedia of French cookbooks, Mastering the Art of French Cooking. What is more Francais, than crepes? So let’s get to it then and make a batch in honor of Julia! 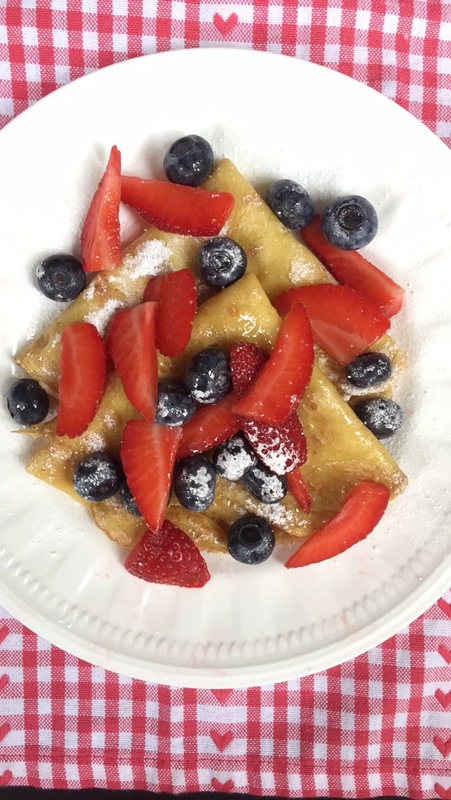 Of course I will be recreating this recipe live on my Snapchat account (blissbakery) if you’d like a peek. 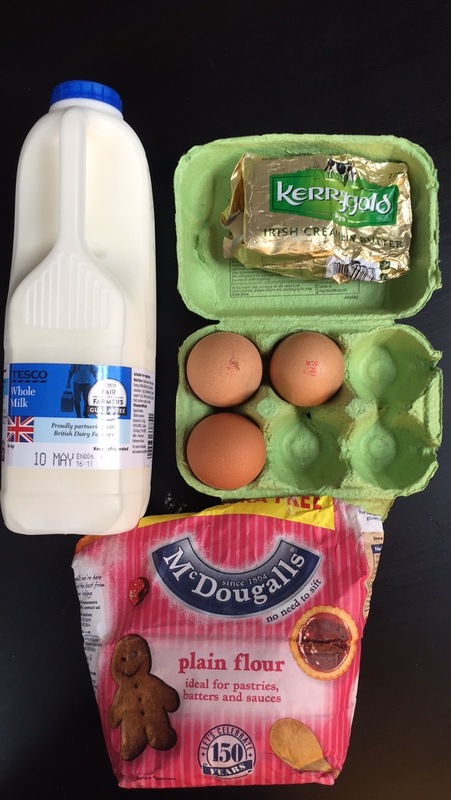 Beat the eggs with a whisk. Add the milk and whisk a little more. Add the flour and beat some more. Pour the mixture through a fine strainer into a 1 quart glass measuring cup/jug. Use a rubber scraper/spatula to push it through. Melt 1 Tbsp of butter in a frying pan until it is quite hot but not smoking. Whisk the batter a bit, then pour about 1/4 cup into the pan. The heat should be on medium high. Cook the crepe for only about 30 seconds until it has cooked through. Then flip it over and cook a little more. It should be slightly brown on both sides. 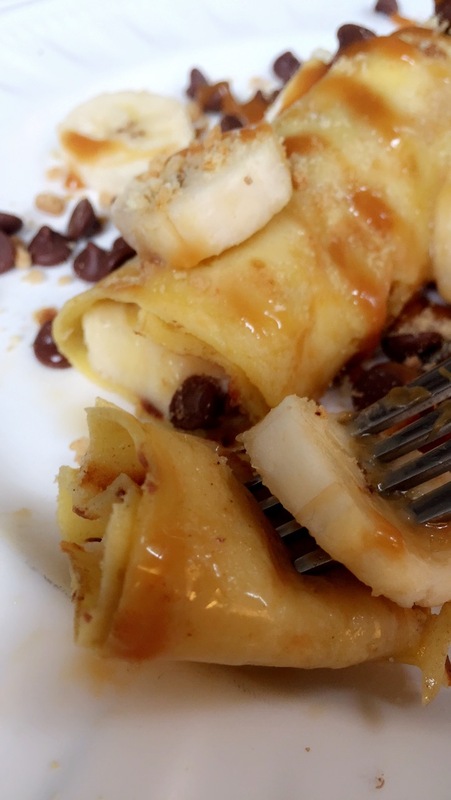 Make more crepes, adding bits of butter to the pan as you need to. 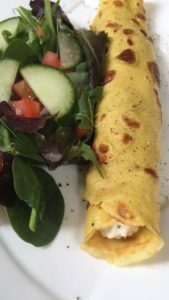 You can keep a pile of crepes warm on a plate by placing a cloth on top.This recipe serves 3 people but is easy to multiply to serve more. 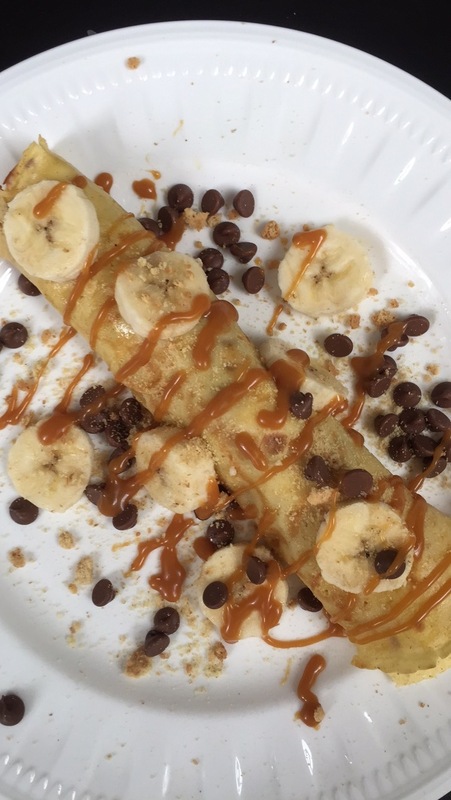 Another with chocolate chips, bananas, salted caramel sauce and crumbled digestive biscuits. To die for people! And I made a savory crepe with melted Boursin Cheese and smoked salmon with a salad on the side. The sky is the limit. Some people just like them with a dash of granulated sugar and a squeeze of lemon juice. 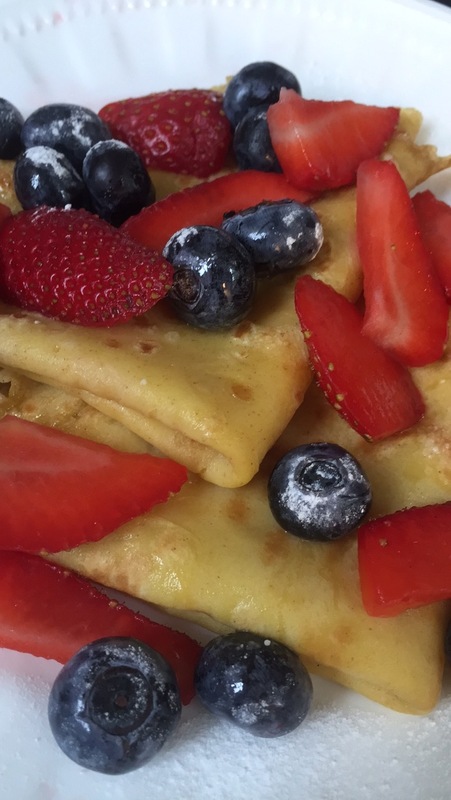 But my fav was what I called the Yankee Doodle Paddy crepes. Made in the shape of Irish shamrocks and drizzled with American maple syrup. Heaven! 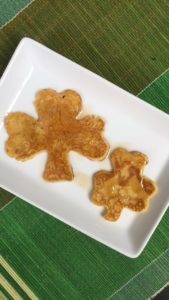 They are so simple, delicious and adaptable. And you know what else is simple? 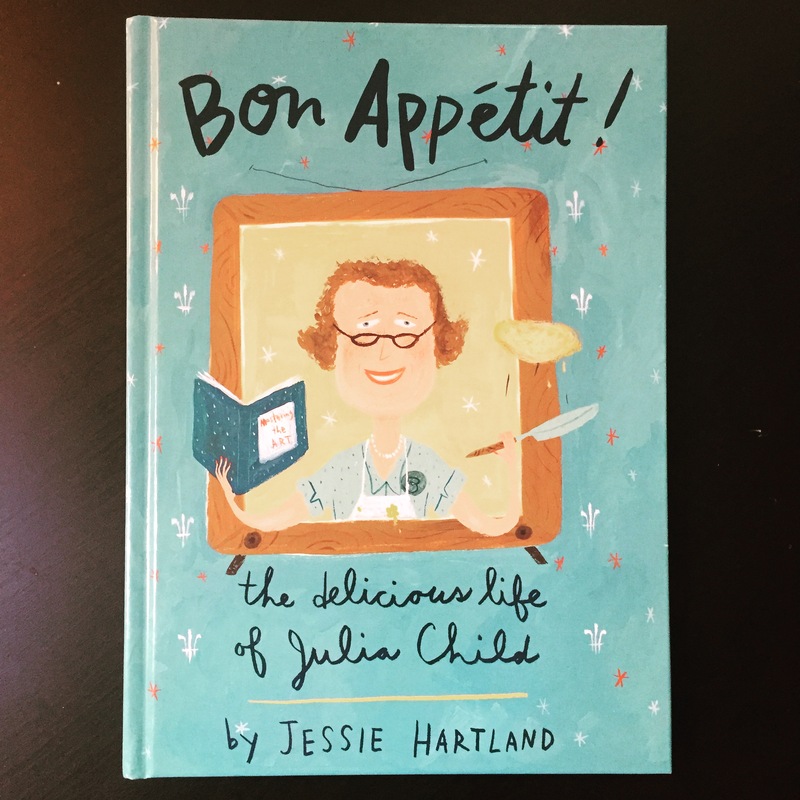 Entering to win this amazing illustrated biography of Julia Child by the author Jessie Hartland. I purchased it when Hubby and I were in Paris recently. 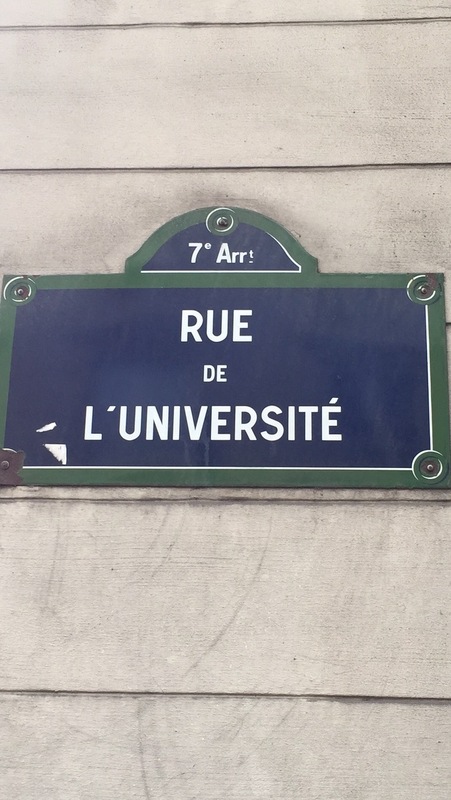 I took Snapchat on a tour of several places meaningful to Julia during the time she lived in Paris. And one of them was the Shakespeare and Company bookstore. 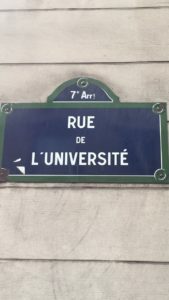 I wrote about it on my The French Connection post summarizing our trip. When I saw this book I knew I had to get it, not only because today’s recipe is in the back of the book. But also because this book is such a cool give away competition prize. 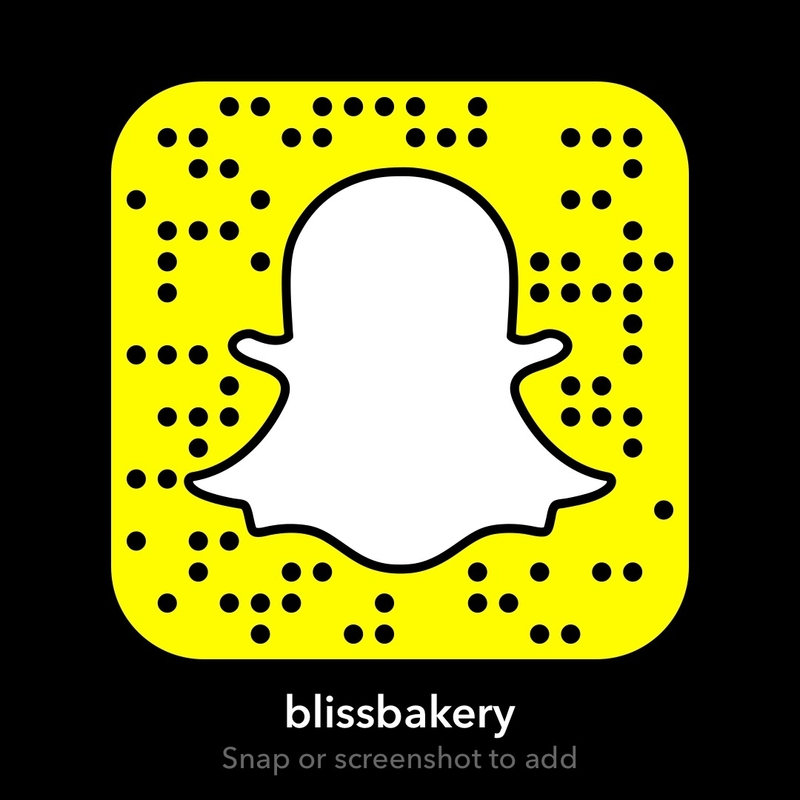 So leave a comment on this blog post, or you can go to my Instagram (blissbakery) or my Snapchat (blissbakery) and leave an entry there instead. Good luck, the draw is Thursday evening at 9pm. But before then have a look at this cool vintage video…. In today’s world where everyone and anyone (including their dogs) can be a television chef, it is important to give Julia credit. She didn’t have anyone to emulate. She was the start of it all. She wasn’t raised helping her mom in the kitchen learning basic cooking skills. But it was when she tasted French food her passion was ignited. She took French lessons and finally got the courage to step foot in Le Cordon Bleu, which by the way was male dominated. And even though it took her ten years to finish her first cookery book, she stayed positive and persistent. 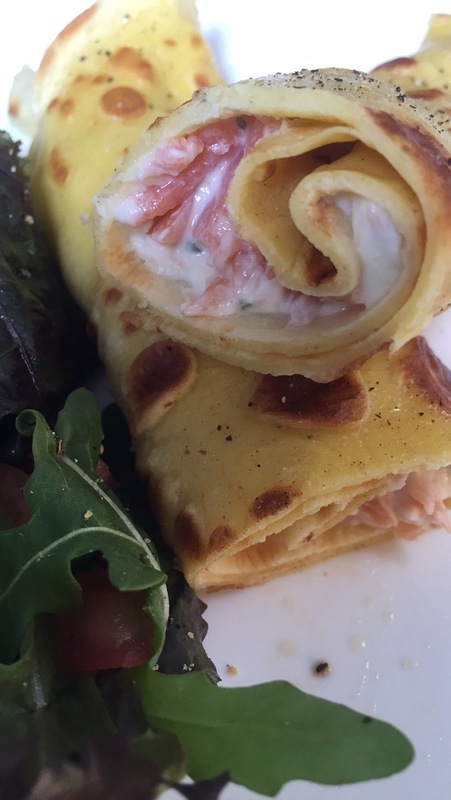 But the world benefitted and French cuisine took on another dimension. 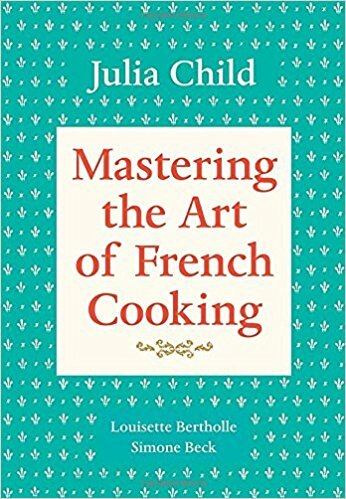 Her enthusiasm was evident when Julia began her cooking show The French Chef. Her knowledge along with her humor made it a very popular long running program. 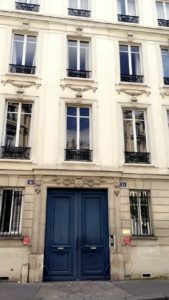 Though they spent many years in France, they only lived in Paris for four years. 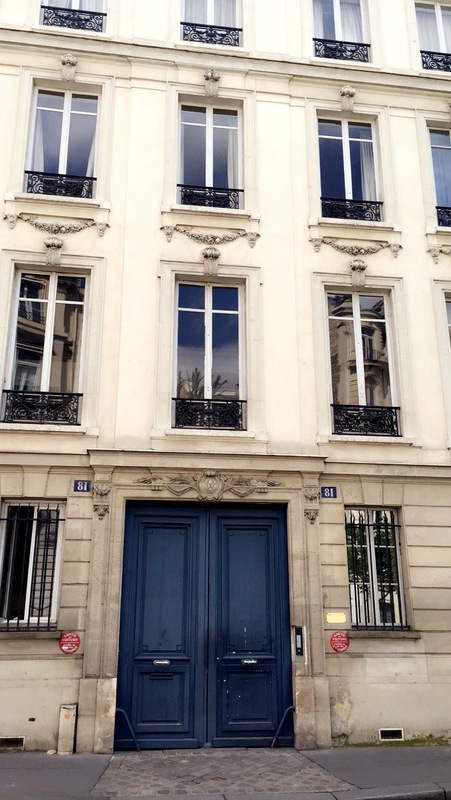 I took the above photos of “81 Roo de Loo” as she called their Left Bank apartment not far from the River Seine. Julia and her husband Paul were adventurers. That curious spirit helped expand her cooking palette. Julia was very tall! So to accommodate her 6’2″ height, the kitchen was custom built. 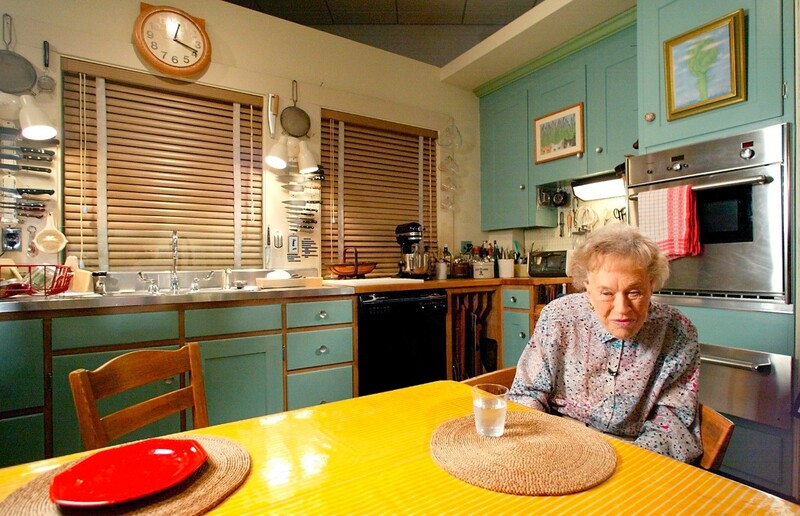 Julia Child passed away in 2004 at the amazing age of 91, her legacy has continued to out live her. 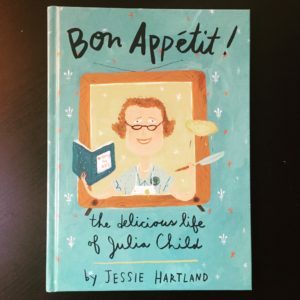 With numerous cookbooks still being purchased and a movie made about her (Julie and Julia) she forever sparks culinary creativity in others. Her actual kitchen is now permanently on display in Washington D.C. at the Smithsonian National Museum of American History. That is what she means to the gastronomic world and an entire nation! And she means everything to me!